A music capital by any standard, Havana lives up its long, boisterous nights, just as it pulsates throughout its sunny, steamy days. There is salsa cubana, rumba and jazz, with long withstanding institutions entertaining since decades. 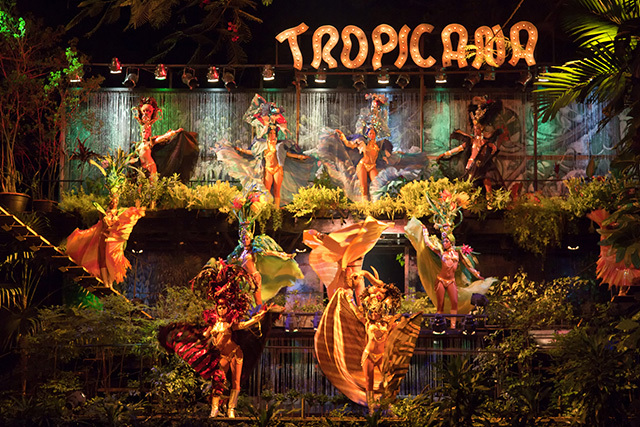 The Tropicana Club cabaret, Casa de la Musica and Vedado’s jazz haunts are just some of its most frequented. But Havana now brews an unmatched potion of past and present, and in the Cuban Art Factory, short for FAC, a hip new Havana has settled in. Created by musician and composer Equis Alfonso (X-Alfonso), inspired by the diversity of the arts at the National School of Art of Havana, the Cuban Art Factory opened its doors as a multi-cultural space in February 2014, with the support of the Cuban Ministry of Culture. Inhabiting the building of a former cooking-oil factory in Vedado, still owned by the government, the venue was transformed into a happening artists’ collective, housing the best of Cuba’s contemporary arts. 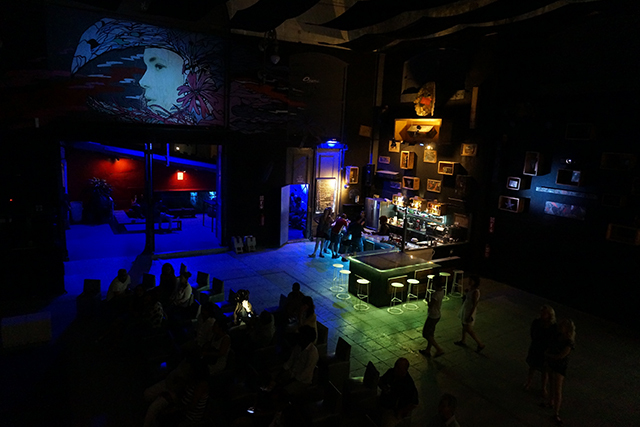 Inside, art galleries coexist next to hip bars, pop-up shops and several stages with live music, in a social hub that has become Havana’s cultural ground zero. You can easily spend few hours, hopping from room to room. Envisioned as an incubator for all branches of the arts - music, dance, theater, photography & film, fashion, graphic design and architecture - the venue supports and promotes the work of Cuban artists. Right beside it, El Cocinero bar & restaurant is a great addition to Havana’s already bustling food scene, serving full meals but best for tapas and cocktails. An instant success following its opening in February 2013, the alfresco rooftop bar is reached by climbing three flights of winding stairs. It’s slightly dizzying on a hot humid day, but worth it for the breezy, buzzing atmosphere. Located under a brick chimney bearing the same name (preserved from its factory days), the reconverted industrial hotspot attracts a hip Cuban crowd, as well as expats. 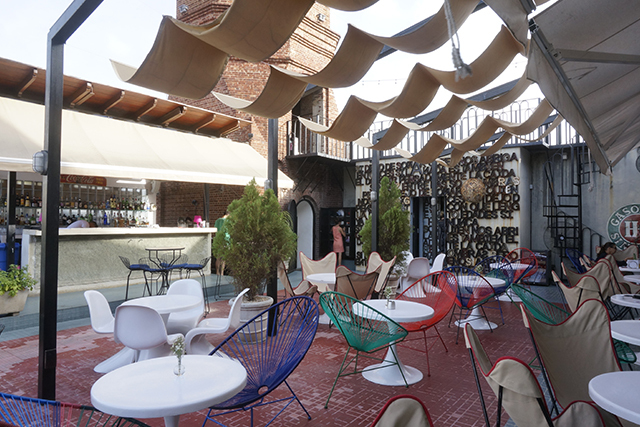 It’s the perfect spot for a refreshing drink before you start your night next door at the Cuban Art Factory. Doors open after 8pm for the FAC, and lines form later into the evening, so plan on coming early to avoid crowds. 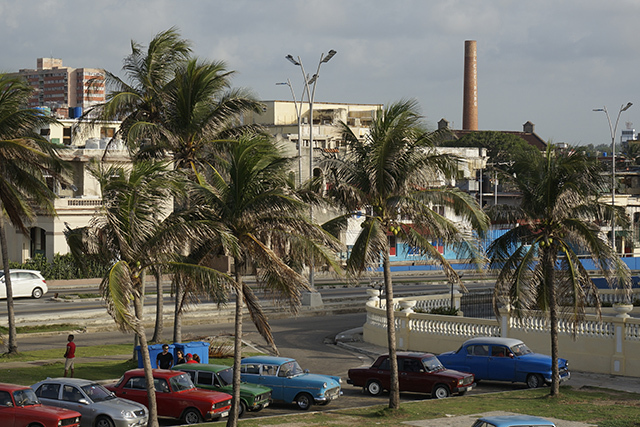 To best reach the FAC, walk the 5-mile Malecón promenade until you spot the brick chimney of El Cocinero, or take a coco-taxi, if you want to skip the long walk.